Live Music at the Outdoor Stage & Beer Garden! Bring the Kids and Grand Kids! This festival & expo is a delightful weekend event, featuring the phenomenal music of the 50s, 60s, and 70s. 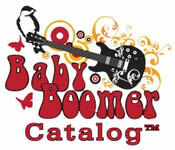 A "Rock-n-Roll Fair" that focuses on the good memories, the nostalgia, the dreams and the needs of America's "Baby Boomer" generation — with an informative line-up of exhibits and demonstrations.